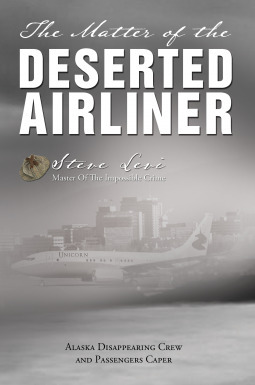 The Matter of the Deserted Airliner by Steve Levi - Reading Room - Craxme.com - Powered by Discuz! Unicorn Airlines Flight 739 with nopilot, no crew, and no passengers lands at Anchorage International Airport. Asthe authorities are wondering what happened, a ransom demand is made for thepassengers: $25 million in diamonds. Chief of Detectives for theSandersonville, North Carolina, Police Department, Captain Heinz Noonan, isvisiting his in-laws in Anchorage when he is called onto the case. He has 36 hours to determine howcrew and passengers disappeared off Unicorn Airlines Flight 739 before the $25million in diamonds is paid to the extortionists. But can he solve what appearsto be an impossible crime, free the hostages, arrest the perpetrators, andresolve The Matter of the Deserted Airliner before the ransom is paid?